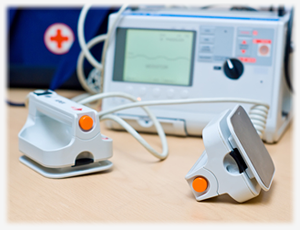 "New medical device" refers to a medical device whose structure, principle, usage method, indications, performance, etc. is clearly different from those of medical devices that have been already approved for marketing or certified. Physicians may not participate in a research study involving human subjects unless they are confident that the risks involved have been adequately assessed and can be satisfactorily managed. Physicians must immediately stop a study when the risks are found to outweigh the potential benefits or when there is conclusive proof of positive and beneficial results. Medical devices are classified into three categories in terms of contact duration: "limited contact," "prolonged contact," and "permanent contact." 160 patients with cardiovascular disease were enrolled at 5 centers in Germany in this multicenter clinical trial.